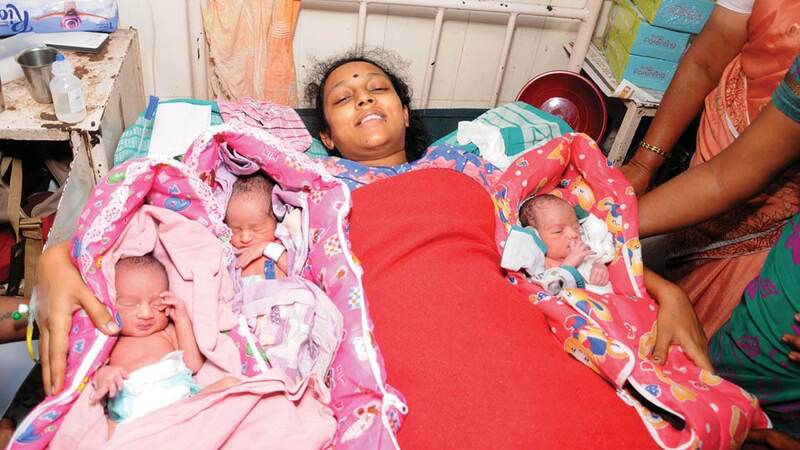 Mysuru: Savitha, a resident of Vijayanagar, gave birth to triplets at State-run Cheluvamba Hospital yesterday as if to coincide with the auspicious Varamahalakshmi festival. Of the triplets, two are boys and the third one is a girl. Savitha is the wife of Prem Kumar. This was her second delivery and the couple have a daughter. The birth was by Caesarean and the mother and babies are healthy.